then tap on “Finger Scanner”. 4. Tap the additional options button. 5. 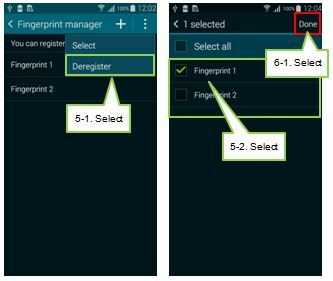 Select the Deregister and choose the fingerprint to remove. 6. Tap the Done. 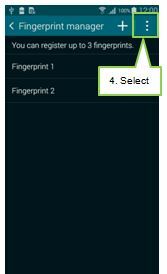 If all fingerprints will be deregistered, the screen lock type will be changed to Swipe.